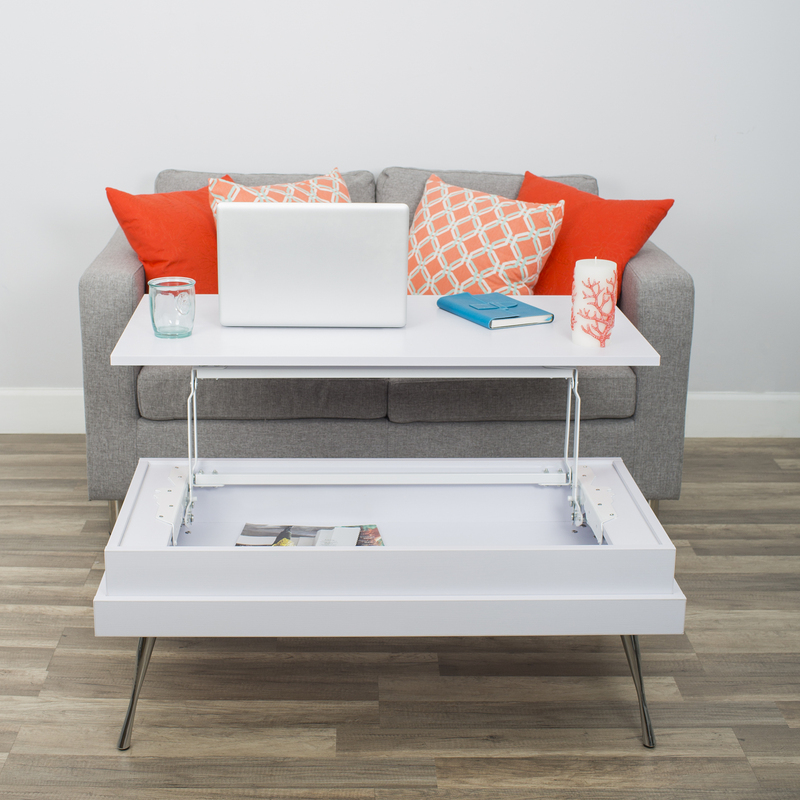 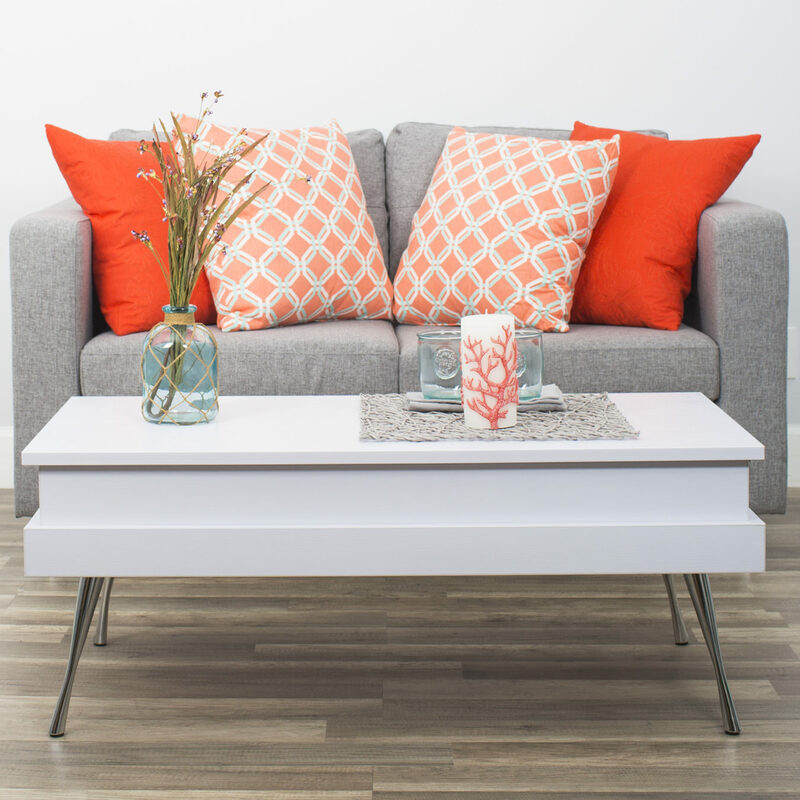 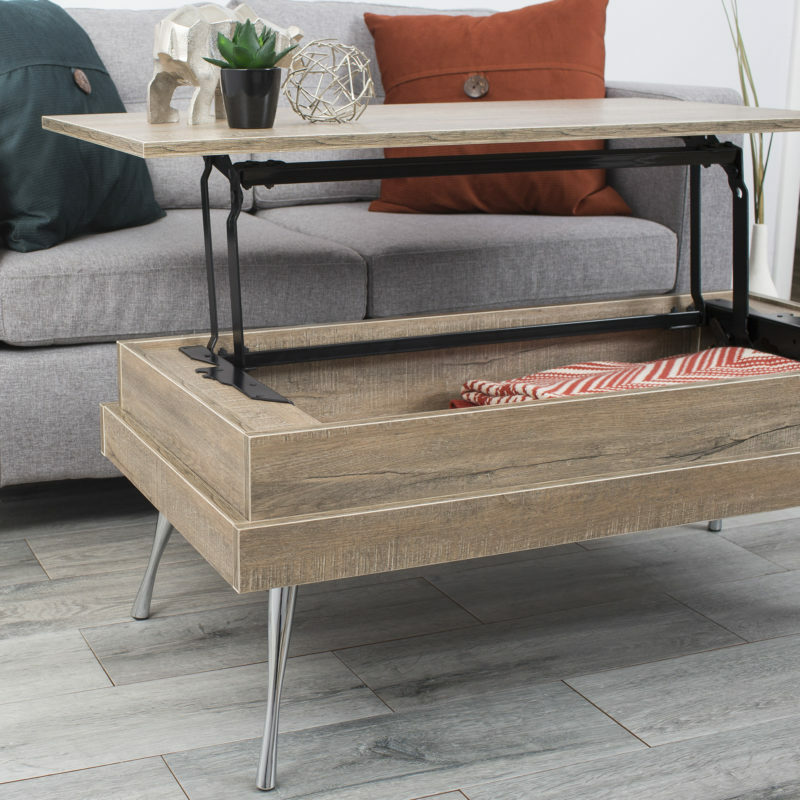 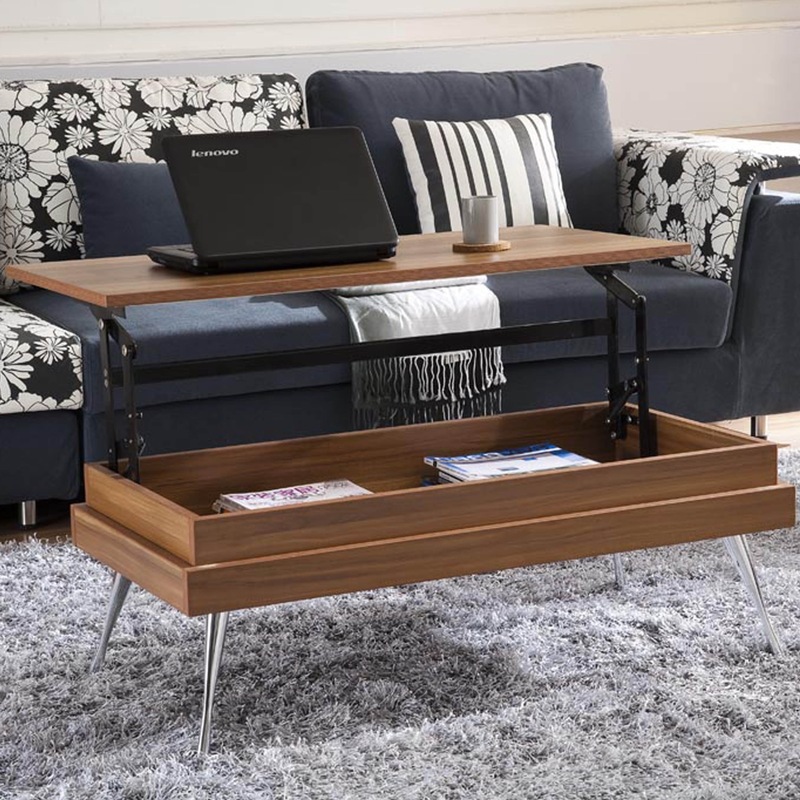 Finally, a coffee table that adapts to your lifestyle. 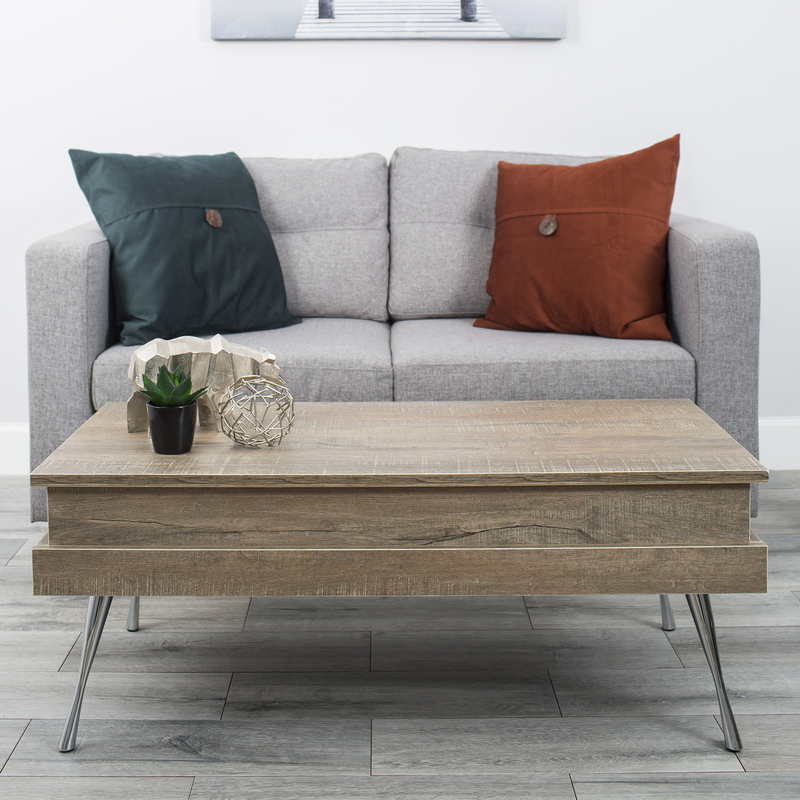 A gorgeous piece that gives you a “lift” when you need it, so you can work or dine from your sofa or chair without compromising your room’s aesthetic. 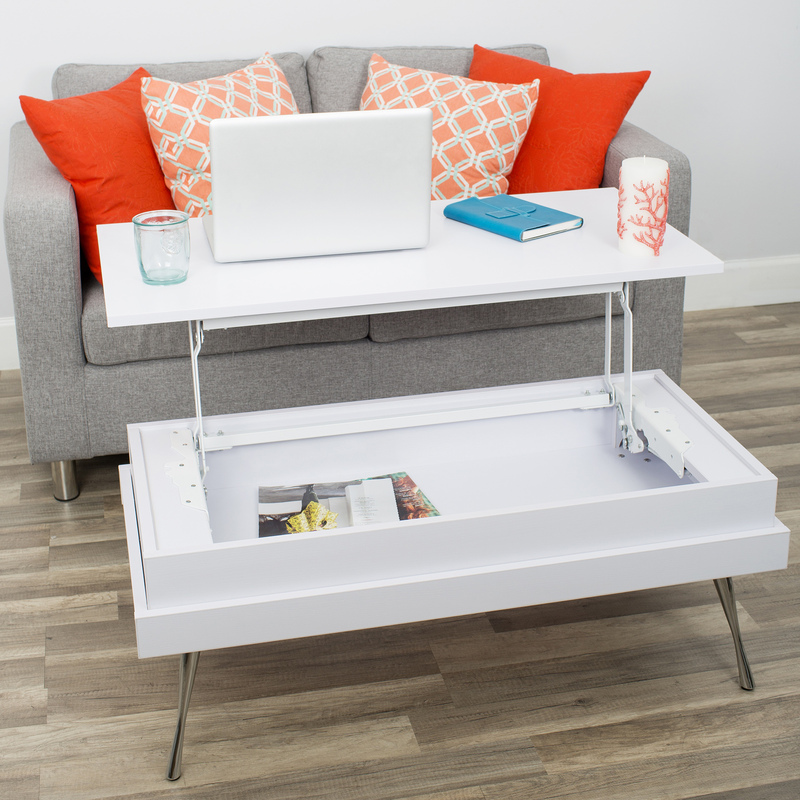 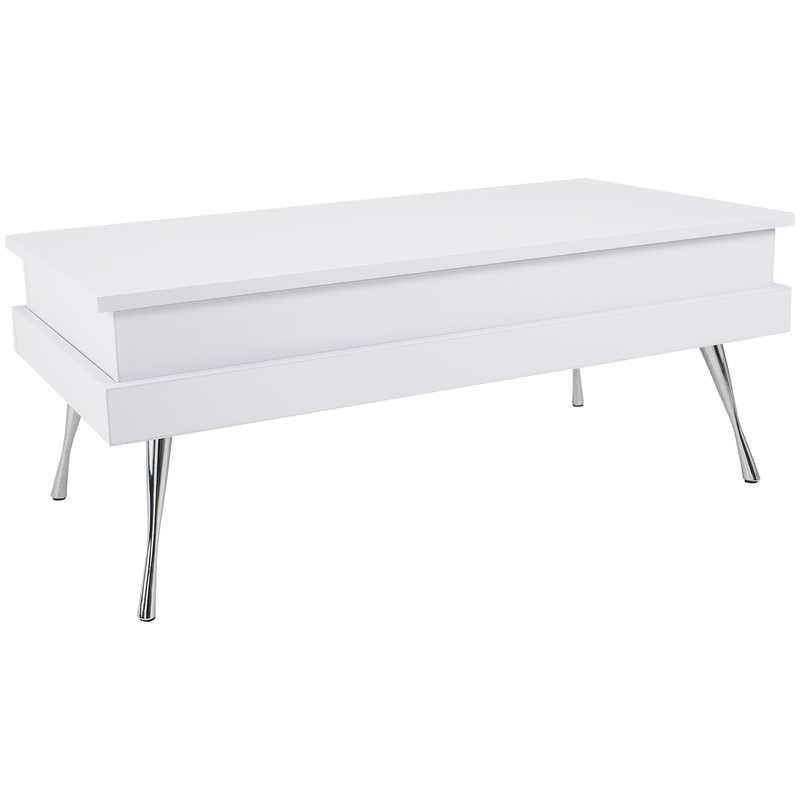 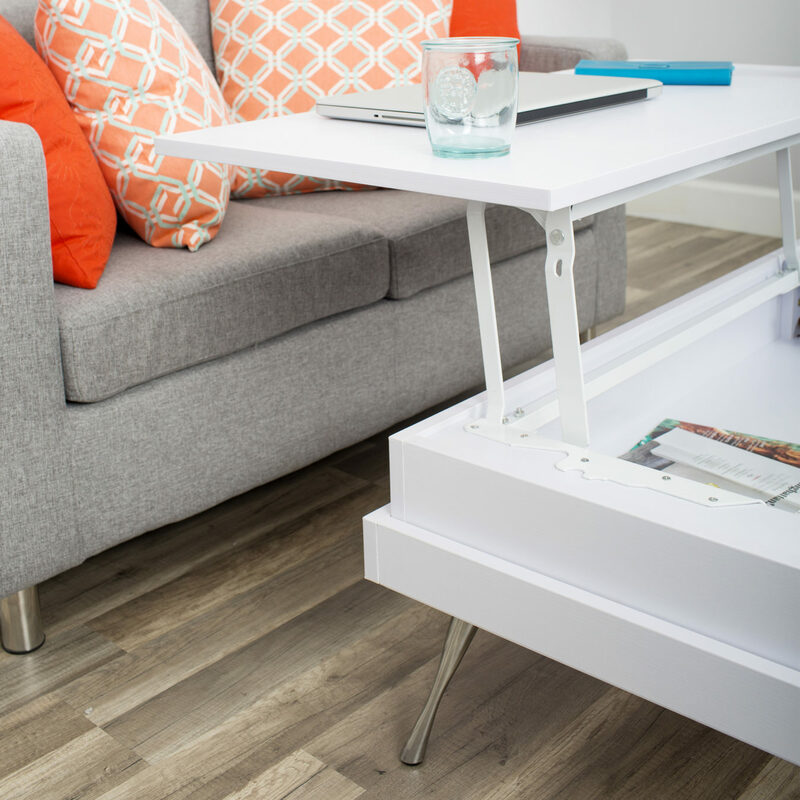 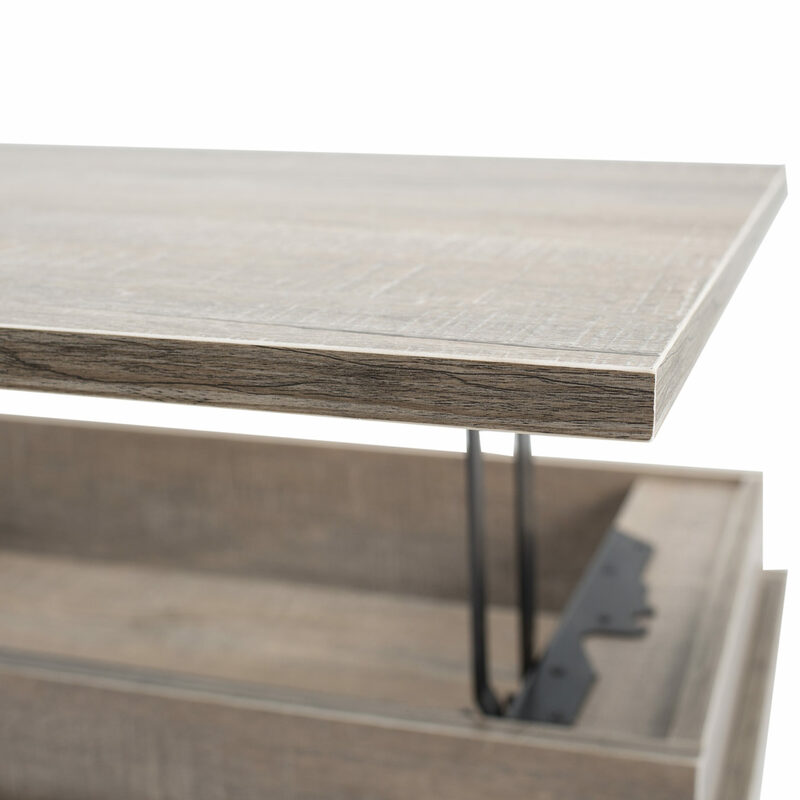 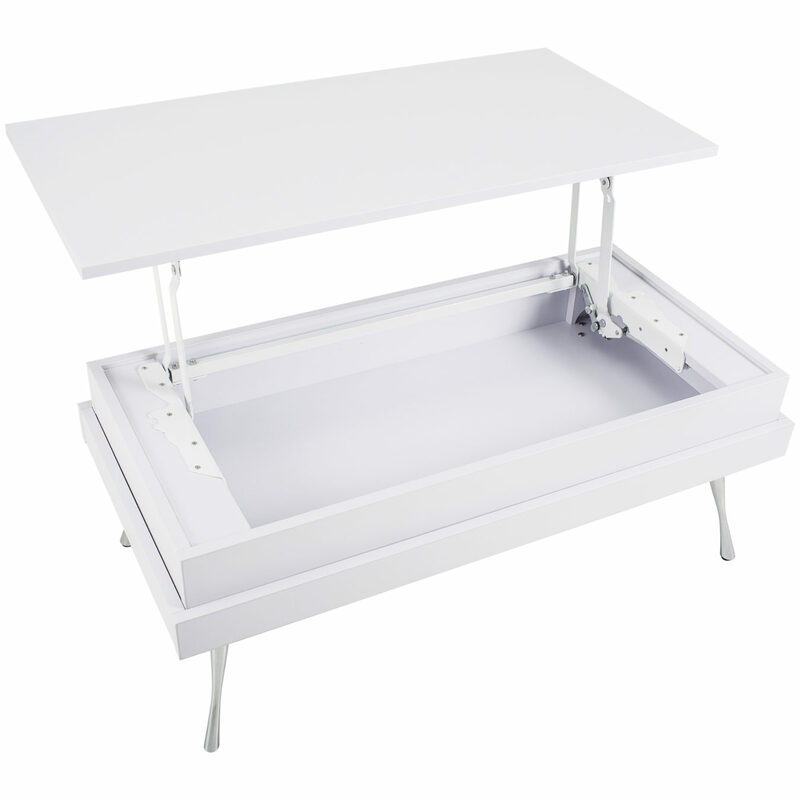 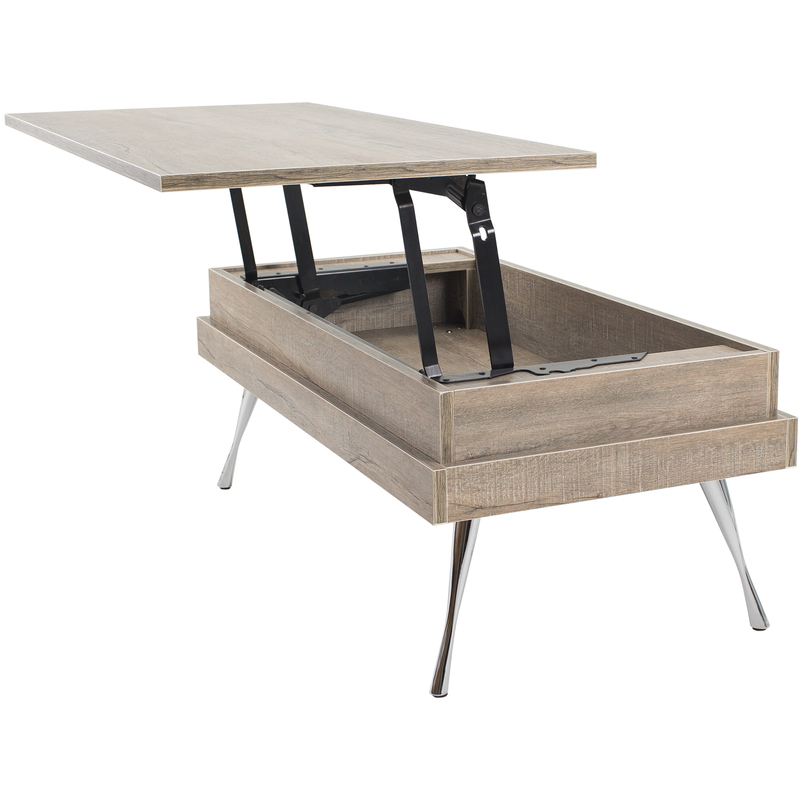 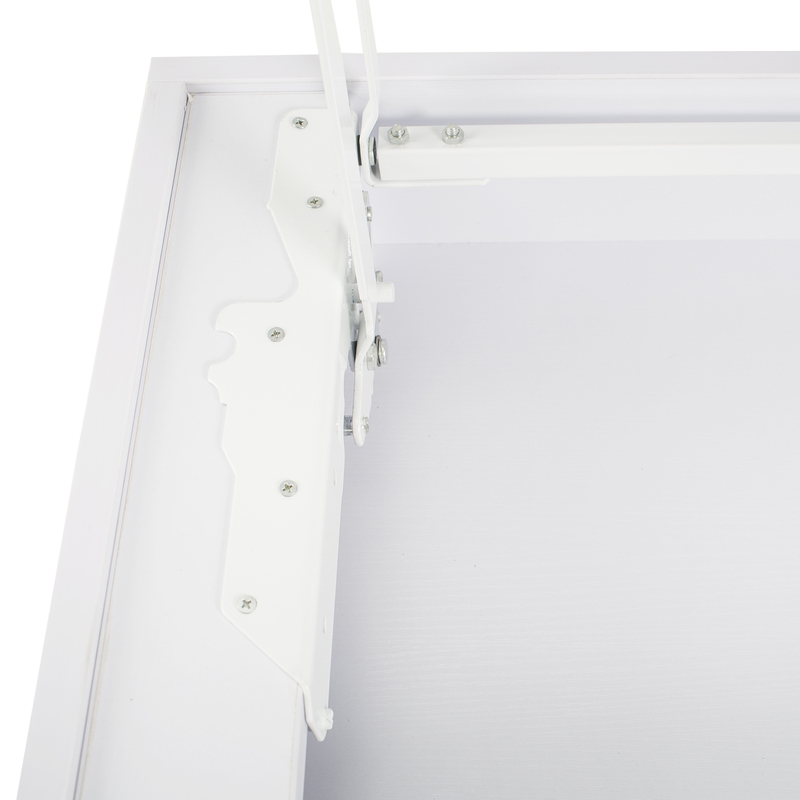 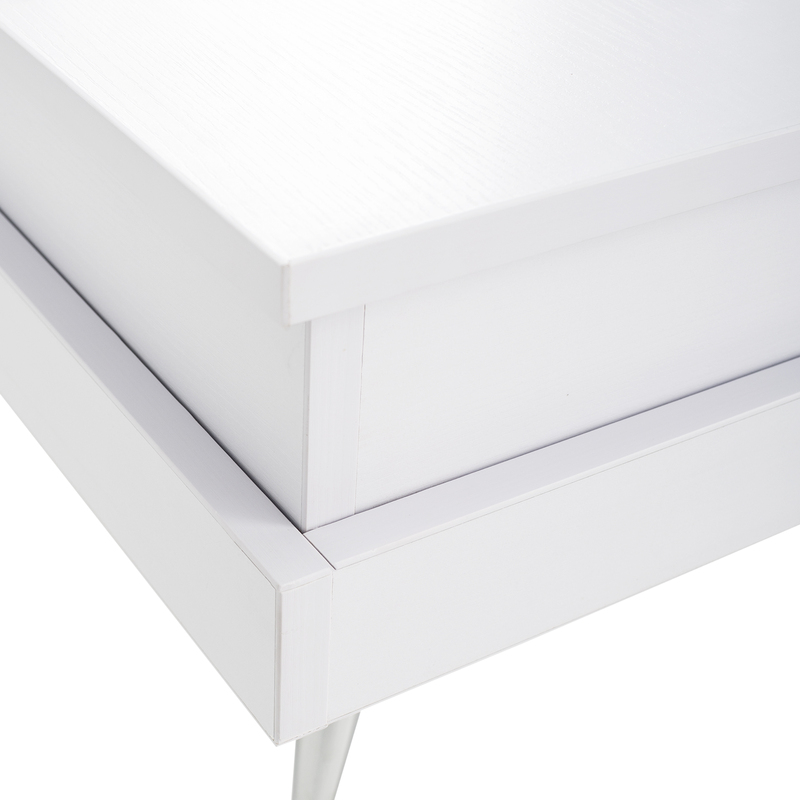 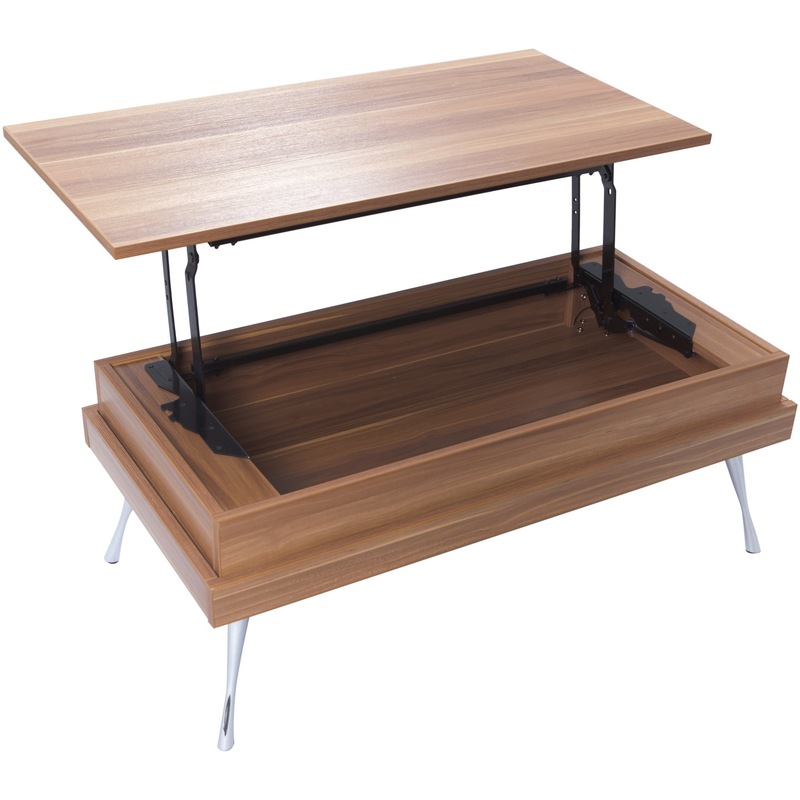 When the tabletop is lifted it also reveals a hidden storage space. 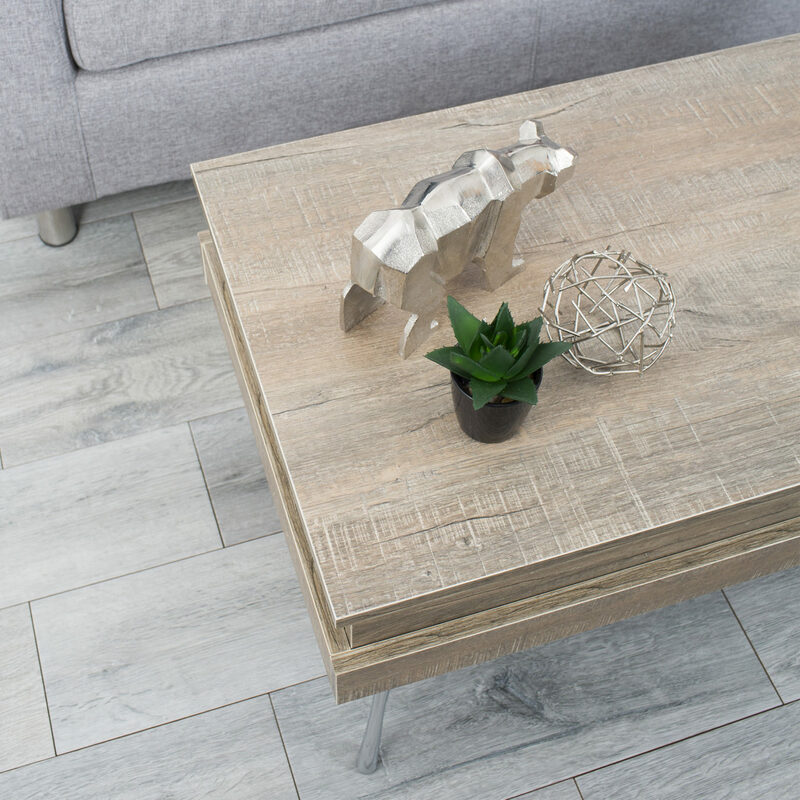 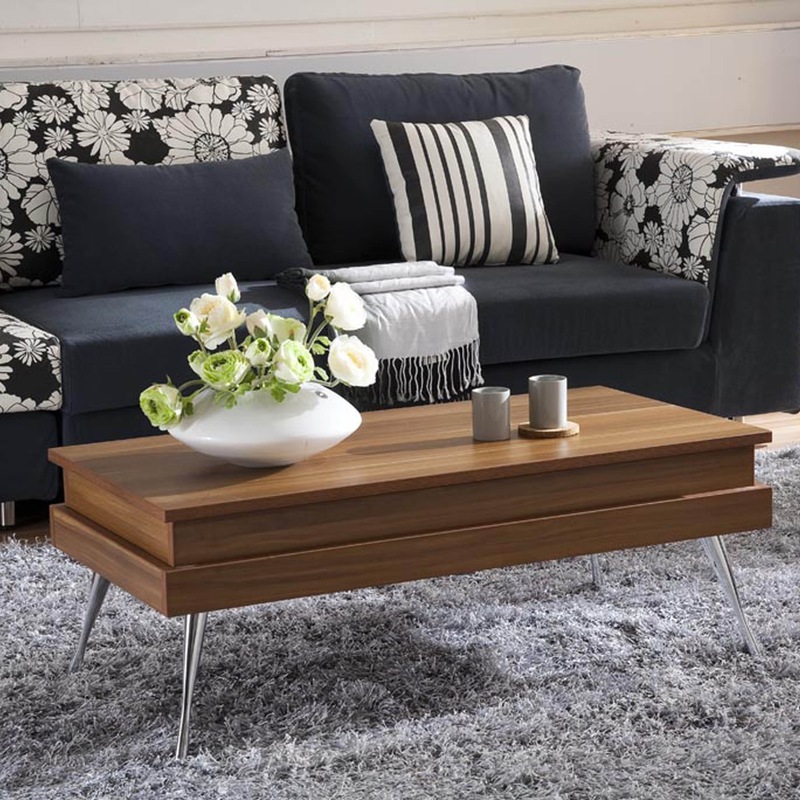 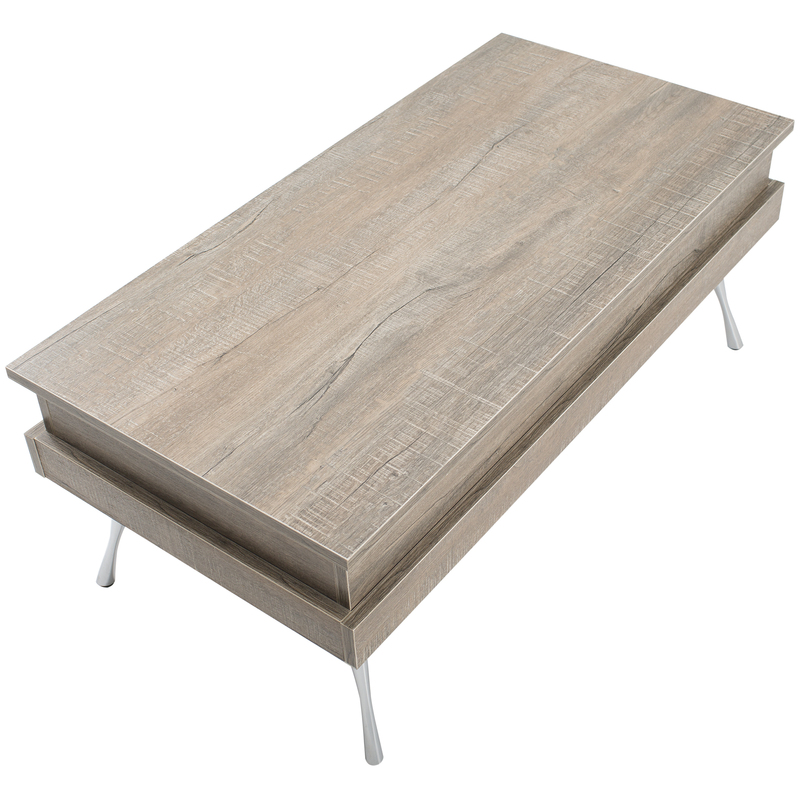 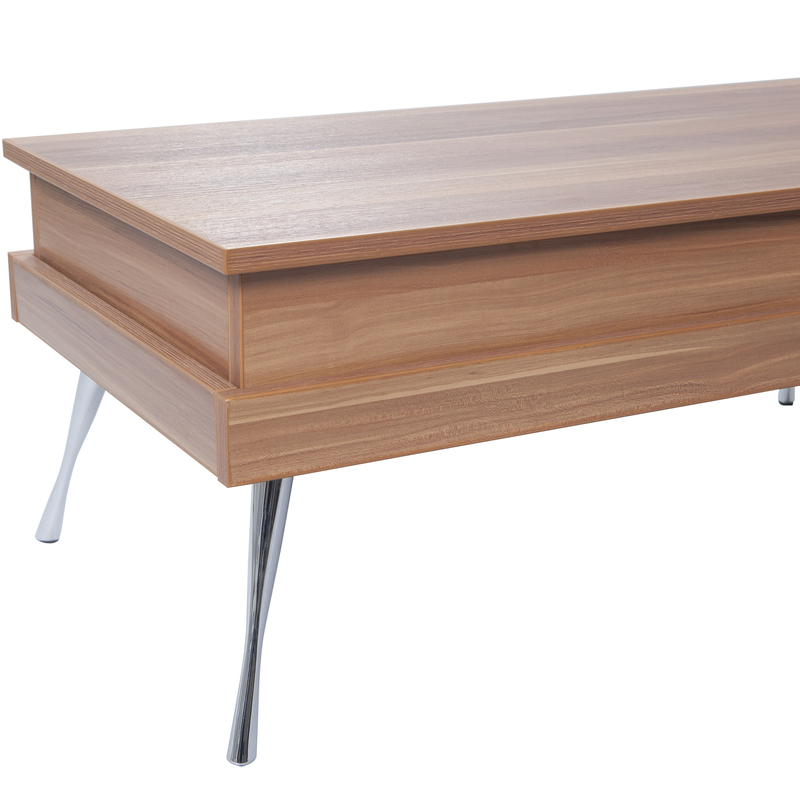 This coffee table has a beautiful walnut Faux-Wood exterior supported by chrome metal legs.